One year after the introduction of our Deli-Lick buckets for Beef Cattle, Horses and Sheep, we have completed our successful new product range! 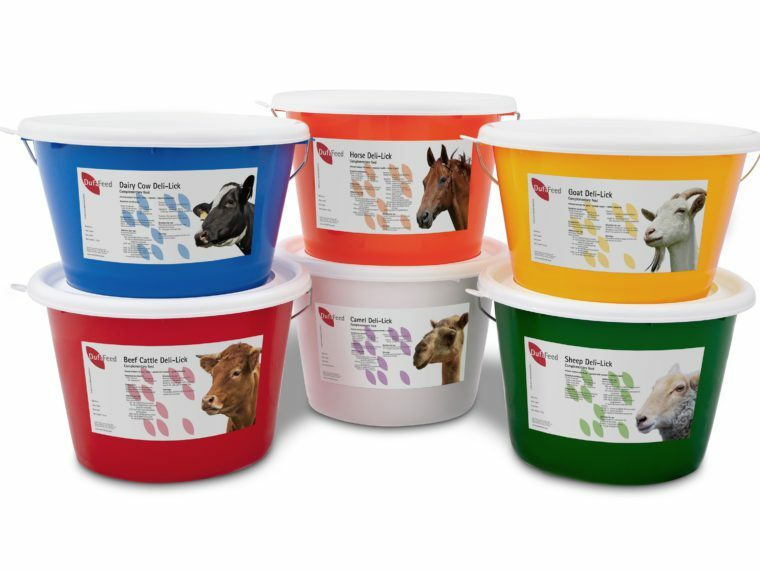 Deli-Lick buckets are now also available for Dairy Cow, Goat and Camel. These weather resistant buckets are and easy and practical way to ensure the intake of all necessary minerals and vitamins, additionally to the daily feed requirements of your animals. Besides these six well-balanced formulations, we are also able to develop your custommade composition.